ISLAMABAD: Prime Minister Mian Nawaz Sharif ordered ministers to terminate corrupt, dishonest, and to ensure transparency and rule of law in their departments. 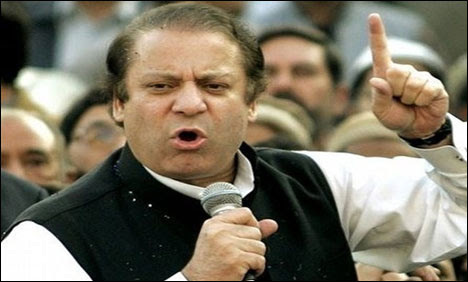 In a letter written to the federal ministers and secrataries, PM Nawaz Sharif stated that eliminating corruption is the government's top priority, qualified, able and well-reputed officers should be deployed on management positions. PM Nawaz further instructed the ministers and secrataries to strictly follow the instructions as ineligible and corrupt officials cannot deliver better governance.